Factory automation isn’t new at Intel – we’ve been investing in improving factory processes through IT-enabled automation for decades. And the reason we continue to pursue increased automation is because the return on investment continues to be substantial. We have found that regularly upgrading our factories to use newer IT technologies provides both expanded capabilities and compliance with automation standards. In the last few years, we have augmented traditional factory automation capabilities, such as automated material handling and advanced analytics. Currently, our factory automation systems process about 5 billion data points per day per factory, enabling factory engineers to extract needed information in seconds instead of hours. Key factory automation capabilities deliver benefits in three areas: efficiency, speed, and yield. Our modern, 300 mm silicon wafer factories are at least four times as efficient as the previous-generation factory. Investment in a remote operation center (ROC) featuring client computer systems for running the factory from the outside, automated material handling, and automatic scheduling applications contribute greatly to this increased efficiency. For example, a scheduling server running highly customized algorithms has a factory-wide perspective that enables it to decide which production material to run where, when, and in what order. Similarly, enhanced IT compute, storage, and network capabilities with associated applications have accelerated factory output by a factor of at least three – meaning we can reduce lead time to customers. We have increased factory speed through automated material handling, production material assignment automation, and host controllers that interface with manufacturing equipment to optimize factory production capacity. The ROC also plays an important role in expediting factory processes, through better communication and faster decisions. Similar to NASA’s mission control center for space flights, Intel’s ROC places the right people with the right skills in a centralized location, all interfacing with the factory through powerful client computers running four monitors each to communicate as much information as possible—it’s no longer necessary to waste time trying to find the right person before an action can be taken. Quality has always been at the heart of our factory processes. Thanks to this commitment, we have been able to improve efficiency and speed without sacrificing quality output. 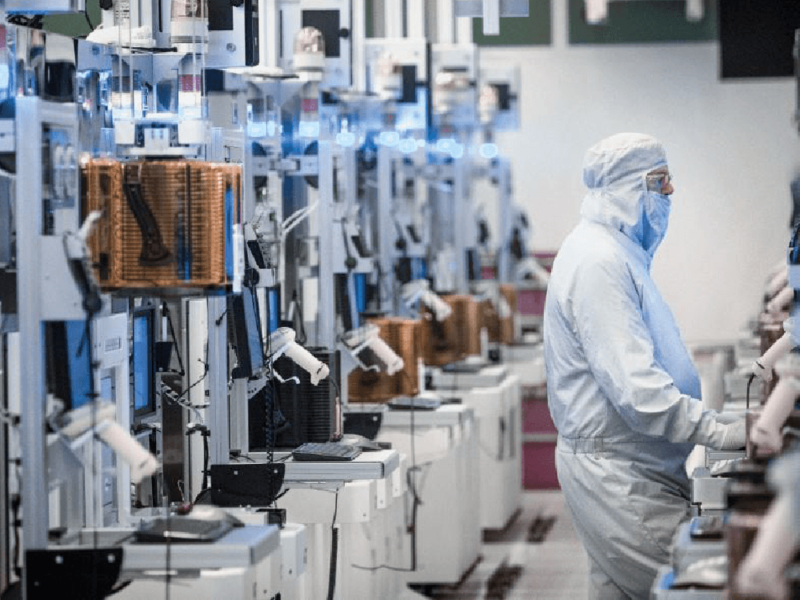 Increased factory automation and advanced analytics have helped reduce human error and have improved Intel’s factory line yield, which is a measure of how many silicon wafers are broken or discarded due to incorrect processing. We can also use analytics to evaluate vast amounts of yield data to determine types of defects and correlate that information to data from previous steps in the process using specialized software running on high-performance, server-class hardware. These insights help us to further improve factory processes. Our advanced process control application also increases yield by automatically tweaking the manufacturing process based on environmental conditions. For example, if a barometric pressure change causes a film to be laid down a little too thick, the system can sense that and lengthen the subsequent polishing or etching step so that the end result is the correct thickness. Our excursion protection systems can identify, in real time, processes that are not following the expected behavior, and stop the affected equipment in about one-third of a second—preventing further damage to wafers in production. Of course, Intel manufactures silicon wafers. But we believe that a similar investment in factory automation, the Industrial Internet of Things (IIoT), and advanced analytics can help improve efficiency, speed, and yield in any factory, whether it produces cars, rocket ships, or electronics. And, when we consider that our investment in factory automation through IT compute, storage, network, and applications represents less than one-half of one percent of our total investment in a factory, the dividends are well worth the expenditure. Darcy L. Ortiz is vice president in the Information Technology Group and general manager of Manufacturing IT at Intel Corporation. In this role, Ortiz leads the global team responsible for managing the IT Factory Automation operations for Intel’s manufacturing facilities and labs worldwide. Previously, Ortiz was general manager of Intel’s CIO Strategy Office, where she successfully established the first-ever multiyear plan for Intel’s IT organization encompassing the changes in both Intel’s business and the IT industry delivery models. Before that, Ortiz served as chief of staff to Intel’s COO and played a key role in redefining the company’s long-range planning process. 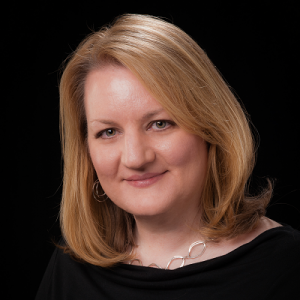 Additionally, she was responsible for implementing workforce planning models across Intel’s global manufacturing operations. Rounding out her tenure at Intel, Ortiz has held a variety of roles in Intel’s Technology Manufacturing Group, including site IT manager and factory automation manager. Ortiz holds a bachelor’s degree in business administration and management information systems from the University of New Mexico and an MBA degree from the Haas School of Business at the University of California, Berkeley.